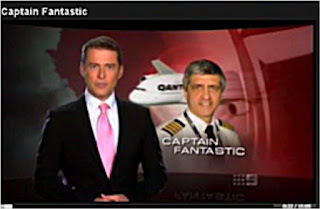 Outside of Australia and perhaps France, there has been remarkably little attention paid to the very, very, very, near disaster that befell Qantas Airlines Flight 32 on November 4, 2010. This, you will recall, was the Airbus A380 with 469 people on board that suffered an uncontained engine failure shortly after takeoff from Changi Airport in Singapore. When the left wing of the world’s largest passenger jet becomes a pin cushion for the flying shrapnel formerly known as a Rolls Royce engine, it does gets all kinds of ugly. Qantas captain Richard de Crespigny is the first to admit that and in his new book, QF 32, he also details his amazing job leading the team of five pilots who were on the flight deck at the time everything went to hell. In Australia the handsome pilot is a major celebrity often referred to as Captain Fantastic by the media. In all the same ways, he is the nation’s Sully Sullenberger. But as he tries to sell his book about the event, Richard is cursed by the isolation of Australia. The (unfortunately named) QF 32, his account of how disaster on the A380 was averted, is only available in Australia and online. That’s a shame because Richard has a thorough understanding of the A380 and the Rolls Royce Trent 900 engines that power many of them. It's important insight and relevant around the world as more than a dozen airlines are planning to one day add the A380 to their fleets. Further Richard weighs in on the difficulties that arise when humans and computers are joint partners on the fly-by-wire flight deck. For the first half of the book, he describes how he came to be in command of commercial airliners; a childhood spent tinkering with machines that go fast, early adulthood in the military flying planes and helicopters. This should have annoyed impatient me but it didn’t. It is an intriguing read in its own right and this back story proves relevant as flight 32 deteriorates. 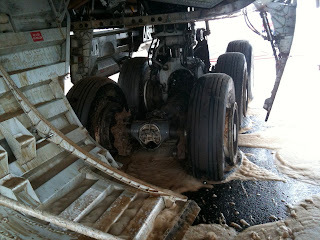 I’ve written quite a bit about this near disaster and spent hours interviewing Richard over the past two years. This was a handicap of sorts as I read his book. I had to keep reminding myself that the men on the flight deck didn't know how it would turn out. 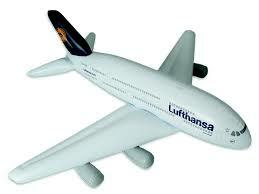 Uncertainty ruled for the 2 hours the plane was in the air. “I was acutely aware of the compounding errors that would challenge every skill I had developed in my 35-year career.” Richard writes of his preparations to land the plane after plowing through a hundred error messages. He puts the plane down while he and the other four pilots sweat through a stall warning at 20 feet. On the ground he and co-pilot Matt Hicks jam on the brake pedals and feel no response for 2000 meters. Even when the plane finally comes to a halt short of the edge of the runway, the danger continues because the number 1 engine will not shut down. Fuel leaking close to the super-hot brakes makes Richard realize the fun is not over yet. “It was a surreal feeling sitting on that tarmac. We had 440 passengers sitting patiently behind the bulkhead, while aviation fuel fell around a 900-degree ignition point,” he writes. No, no one knew the end of the story, but each apparently correct decision became another link in the unbroken chain of events leading to the happy outcome, and this is what makes QF 32 an illuminating narrative – as was Sully’s Highest Duty – of how how stick and rudder experience prepares pilots for the one time in a billion when extraordinary performance will be required. 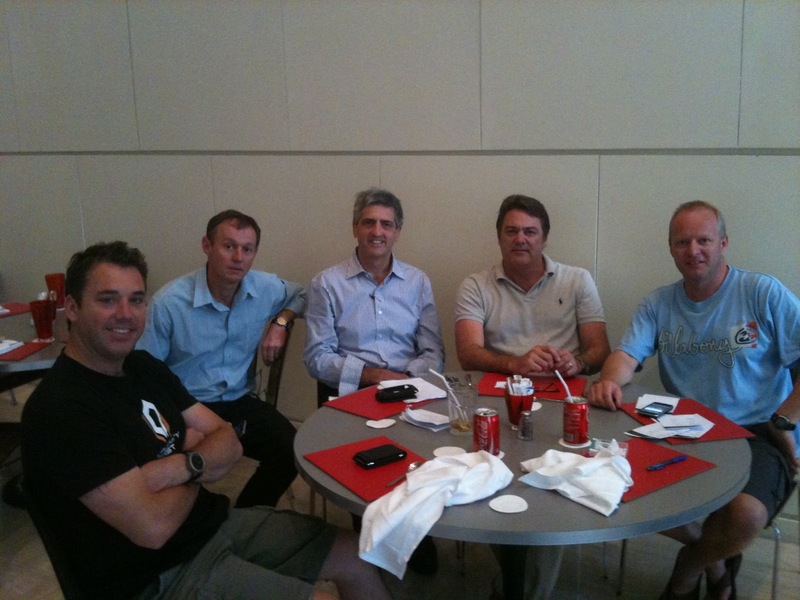 Presumably, the other Qantas pilots on the flight, co-pilot Hicks, Harry Wubben, Dave Evans and Mark Johnson have similar experiences and QF 32 would be enhanced with the addition of their perspective. I'd also dustbin the last eight pages, reprinted letters and emails to the captain from passengers - they're unnecessary and gratuitous. But this is Richard’s story and for the general public it is a book worth reading. For aviation safety professionals, the experiences of all five Qantas pilots and the two men who flew US Airways 1549 should be mined like the precious resources they are for what their successful performance can teach others. 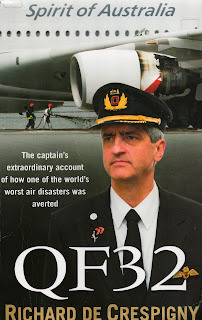 QF 32 by Richard de Crespigny is published by Pan Macmillan Australia and is available online at www.QF32.aero. The ebook version is available from online book sellers. 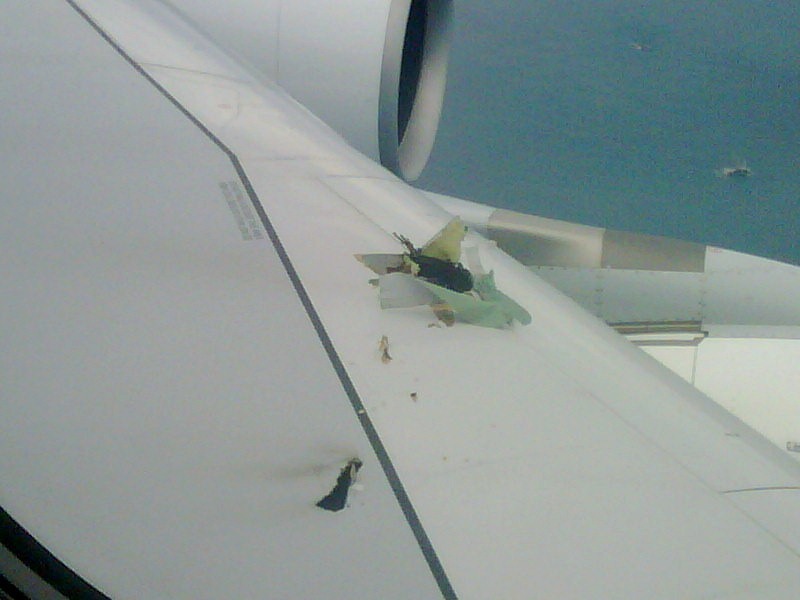 Christine has identified the source of the different outcomes between QF32 and AF447 in this sentence: "That’s a shame because Richard has a thorough understanding of the A380 and the Rolls Royce Trent 900 engines that power many of them." The seat-warmer in AF447 hadn't a clue about basic airmanship, much less the ability to parse the symbology to determine what the airplane he was supposed to be flying was actually doing. The lesson to be learned from the difference between the flight crew behaviors is that QANTAS's training fulfilled the needs, and Air France's came up lacking. Whether or not the lesson was learned, and the learning put into practice, remains to be seen. More people will, or won't, die. Modern day pilot training is neglecting the aviate part, the flying skills part. The dependence on technology is producing pilots who fly aircraft as if it is a PC game. Training requirements need to be reviewed in order to return back to fundamentals.